K&S Seafood Bar and Grill had just two customers when owner Koy Sam and his wife were starting to close up shop this past Saturday night when two armed robbers burst into the store and went for the cash register. They never made it, because one of the customers pulled his concealed carry weapon and thwarted the robbery. To the best authorities can determine, neither of the robbers were hit by the customer’s gunfire. Amusingly, this defensive gun use, like so many others, will never appear in fake “gun violence” studies. Fake gun “research” pushed by the Violence Policy Center and Everytown for Gun Safety/Moms Demand Action specifically constrain their “data” by cherry-picking specific kinds of information to exclude defensive gun uses where either no shots were required, or shots were fired and no one was apparently hit in the exchange. This is not an accident, but a specific attempt to avoid revealing the truth. You see, guns are only rarely fired in self-defense. Those incidents where shots are fired rarely make the news, so by only using news accounts (instead of police incident reports), gun control cultists are already lying (significantly) about the number of times guns are used in armed self-defense. In most instances, the mere sight of a firearm, or the sound of a firearm being charged, is enough to send criminals fleeing for their lives. These non-discharge events make up the vast majority of defensive gun uses, which number more than a million a year according to mid-range estimates. If gun control groups had to put their biased studies in the context of the number of times firearms were used legally and defensively to thwart crime without any casualties at all, the tiny shreds of public support that these groups get would wither away to nothing at all. Gun control is people control. It is an attempt to frighten citizens into transferring their power and essential liberty to the government under the illusion of acquiring a little temporary safety. 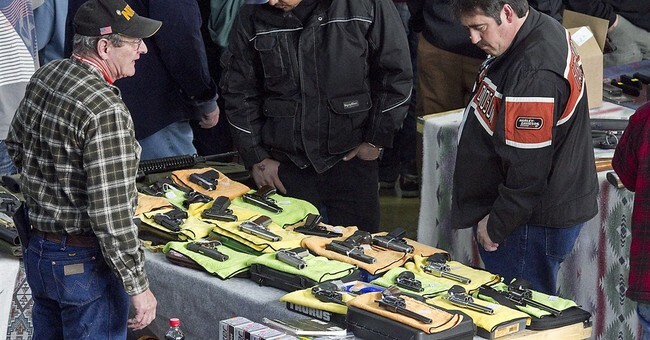 Americans have more firearms in their possession now than at any point in the history of the United States, and that number is increasing daily. There are more legal concealed carriers in the United States—well over 11 million—than ever before, and that number is increasing daily. At the same time, violent crime is on a multi-decade decline. It’s amazing what armed citizens can do to make the nation safer from criminals and would-be tyrants alike. It’s too bad the majority of the mainstream liberal media seems dedicated to ignoring, downplaying, or outright lying about this reality.